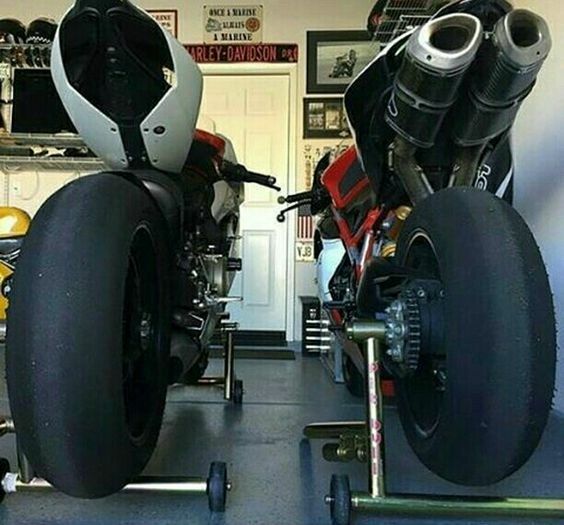 Motorbike Blogs, Motorcycle Blog, Motorbike Courier Blogs, UK. If you live in a climate where rain and snow are the norm during the winter months, your motorcycle probably spends most of the time in storage while you wait for more favourable riding conditions. Then at the first sign of warm weather, you pull on your leather pants and motorcycle chaps and hit the road ready to inaugurate a new riding season. However, along the way you might discover that the glimmer of sunshine was just a teaser and you find yourself riding in inclement weather. A rain shower or light snowfall doesn't need to preempt your ride, but there are some precautions you should take to make the ride safer and more enjoyable than the ride would be if you weren't prepared. Your motorcycle apparel will offer some protection, but there are some other precautions that you should take before your ride. If you have never experienced being caught off guard by a sudden downpour without the benefit of a face shield, many riders will attest that those innocent little water droplets sting when they make contact with your face. In this situation, some motorcyclists will tie a bandana across their face to ward off those steely raindrops. If there is a chance that you might encounter some precipitation on your ride, plan ahead by packing a face guard for your helmet. In addition to your leather pants and motorbike gear, pack a rain slicker, gloves or gauntlets, and perhaps a sweatshirt. In a heavy rain storm you might be better off pulling over and waiting out the storm. If this is the case, you will still want to keep warm if you're not near a place where you can go indoors. Your motorcycle apparel can provide some warmth and protection, but you don't know how long you'll be out so it's better to plan ahead with some warmer clothes. Riding in the rain is more of a discomfort than a safety issue. Still, safety is always a priority when you're riding a motorcycle and the best safety mechanism you have when riding in any kind of weather is your common sense. Begin to apply this common sense even before you begin a ride by checking your tire pressure and the condition of your tire tread. It doesn't need to be raining or snowing for bald tires to become a safety hazard. When operating any vehicle in the rain or snow, always slow down and allow plenty of space between you and other commuters. This is always recommended, but even more when the roads are wet. 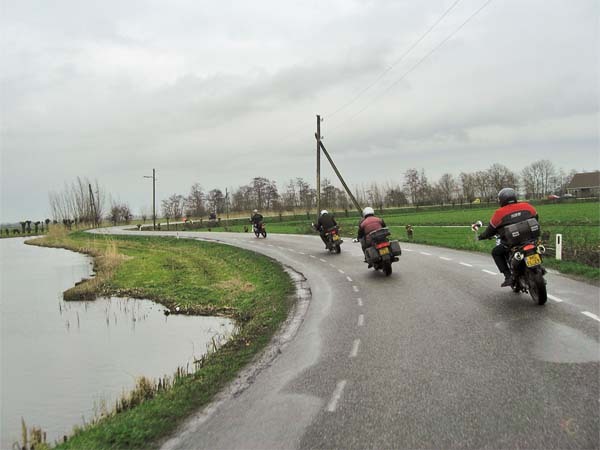 Damp roads usually make riding conditions unpredictable. For example, gas and oil are often spilled on the road. Until these spots have been washed away by frequent rain storms, they can be as slick as dry ice. One advantage that you have over dry ice is a light foam forms over an oil spot that is visible at some distance. If you are alert you can easily avoid these spots. When riding in snow you run the same risks of sliding as you would if you were in a car. Here again, common sense and proper riding techniques (in addition to your motorbike gear and leather pants) can keep you safe and unharmed on a slick road. If you need to stop fast, don't apply your brakes so hard that your front or back wheel locks up. Skidding out of control is inevitable at this point. Instead, apply light, even pressure on your brakes and keep the wheels turning. This will enable you to slow down without losing control of your bike. Also, try not to brake when you round corners. Instead, keep your speed the same and shift your weight to take the corner. Naturally, you prefer not to ride when there are hazardous road conditions. However when you are on a ride and the weather conditions change, you can still get through the ride safely by staying alert and using safe riding techniques as well as properly outfitting yourself with your motorcycle apparel. Many people buy a motorbike jacket based solely on appearance. While this can be good from a fashion viewpoint, riders have to look a bit further. Motorbike jackets for both men and ladies are available in a number of styles and materials. Being able to provide the best quality jackets with maximum protection is increasing the competition. 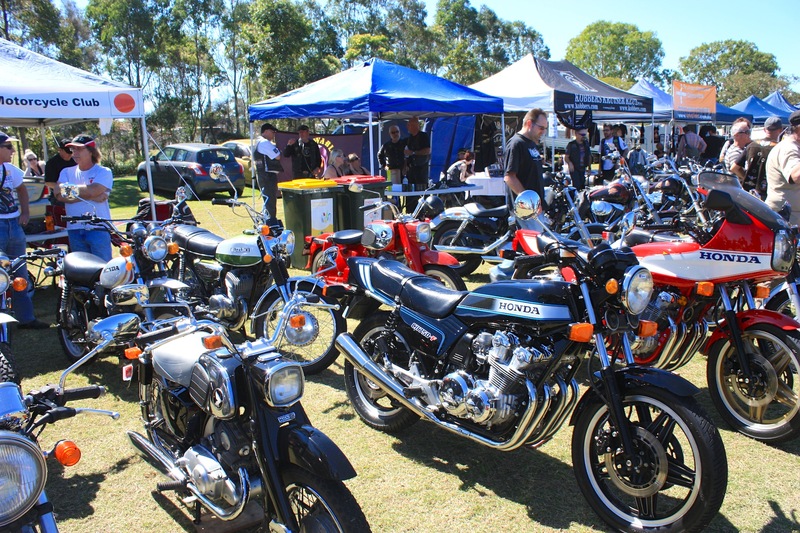 Motorcycles are designed to meet many tasks, and vary significantly depending on what purpose they are going to serve. In today's busy world of commuting, where traffic jams, road works and general congestion are a daily occurrence, a motorbike seems to be the solution. Economical commuter bikes are the way to go. With built-in storage for luggage, a lightweight frame and economical fuel consumption, town bikes are a perfect solution to urban travel.